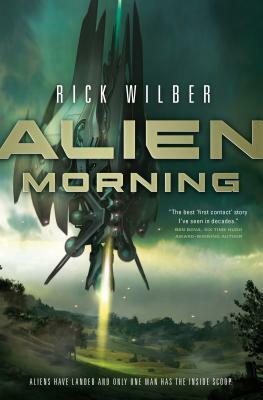 The fate of two civilizations depends on one troubled family in Rick Wilber's science-fiction adventure Alien Morning. The S'hudonni offer advanced science in exchange for various trade goods from Earth. But nothing is as simple as it seems. Peter finds himself falling for, Heather Newsome a scientist chosen by the S'hudonni to act as their liaison. Engaged to his brilliant marine biologist brother, Tom, Heather is not what she seems. But Peter has bigger problems. While he and his brother fight over long-standing family troubles, another issue looms: a secret war among the aliens, who are neither as benevolent nor as unified as they first seemed. "A first contact story like no other: it eerily and wittily depicts a fast-forward vision of a near-future in which our own world is both utterly recognizable and utterly transformed. Once I started it, I couldn’t put it down. Neither will you." –-Elizabeth Hand, author of Generation Loss, Available Dark, and Hard Light. “An enjoyably thought-provoking novel about human and alien sibling rivalries with potentially civilization-destroying ramifications, punctuated by basketball, high tech, and a unique alien seductress.” —L.E. Modesitt, Jr.